Untitled ["Look at love"] by Jalal ad-Din Muhammad Rumi, from Rumi: Fountain of Fire, translated from the original Farsi by Nader Khalili (Cal-Earth Press, 1994). 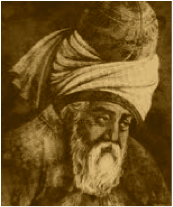 Text as presented on Poetry Chaikhana (September 23, 2011). Art credit: Untitled image by unknown photographer, taken at Salar de Uyuni, Bolivia. 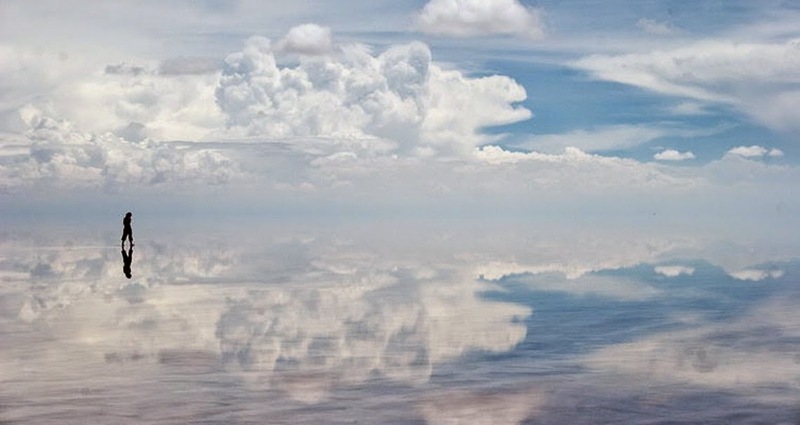 During the wet season, the salt flat in the Bolivian Andes (3800 square miles) turns into a shallow salt lake and the world’s largest natural mirror.